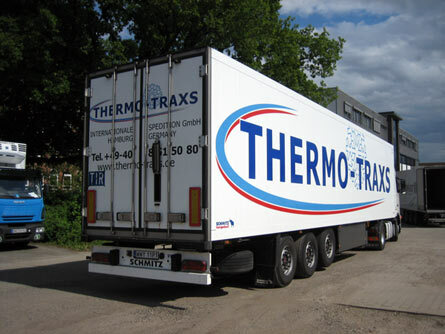 Right from the foundation of the "THERMO-TRAXS" company, the modern in-house truck fleet has been an essential component of the company policy. It warrants top quality and reliability. The composition of the truck fleet mirrors business activities. The vehicles are diversified in accordance with the emphases of "THERMO-TRAXS' operations.. 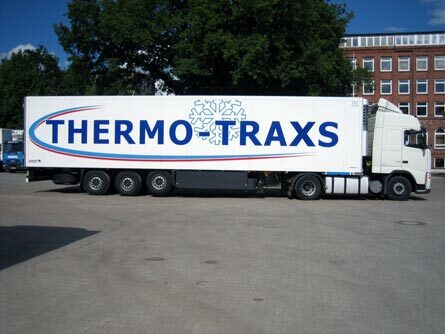 The success of the "THERMO-TRAXS" company is supported by the quality of our suppliers' equipment. 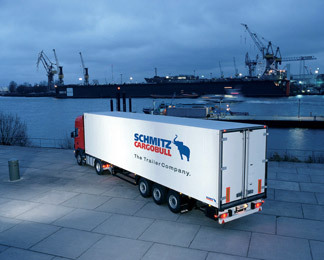 For long-distance transports, SCHMITZ CARGOBULL offers optimal solutions for refrigerated, frozen and dry goods freight with their large assortment of trailers, semi-trailers and bodies. 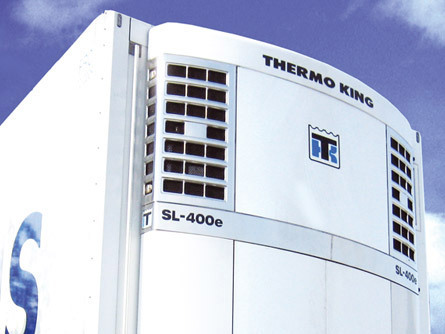 Cooling units from THERMO KING guarantee smooth HACCP based transport through reliable technology and a tight service network. 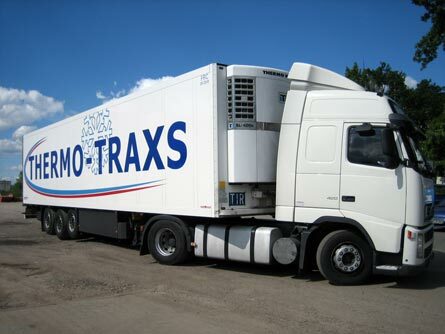 Get behind the wheel - with the "THERMO-TRAXS" company!